Many diverse datasets are generated during an exploration program. Datasets vary from geological maps, structural measurements, soil or rock samples and associated geochemical assay data, geophysical data of various types, drillhole data and many more. Collecting data is expensive. 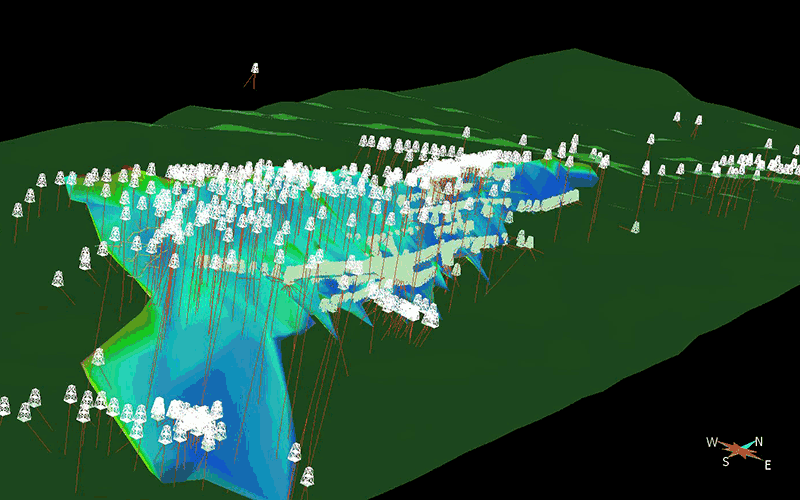 We help you maximize the value of each dataset by analyzing all data in a geological context. We integrate all datasets and interpret them together rather than in isolation. For example, we interpret geophysical data in a geological context because not all geophysical anomalies are targets worth pursuing. The earth is three dimensional and it makes sense to bring everything together to analyse and interpret in 3D. Integrating all datasets in this way identifies targets, uses your budget most efficiently, and maximizes the odds of discovery or resource extension.